Hi, everyone today, I like to share you about one life ha*ck technique that is how to charge a mobile very quickly without overheating. So let's learn about the awesome trick now. Please follow as per this following steps. 1: First, you need to turn off your mobile data or Wi-Fi or any outgoing connections on your mobile. 4: Use any app to boost your mobile before charging, for example, Clean Master, or default phone speed up options. 5: Switch off the GPS or location on your mobile because, It will absorb your battery power. 6: If you are using a smartphone, you can turn on any power consumption mode or anything else. 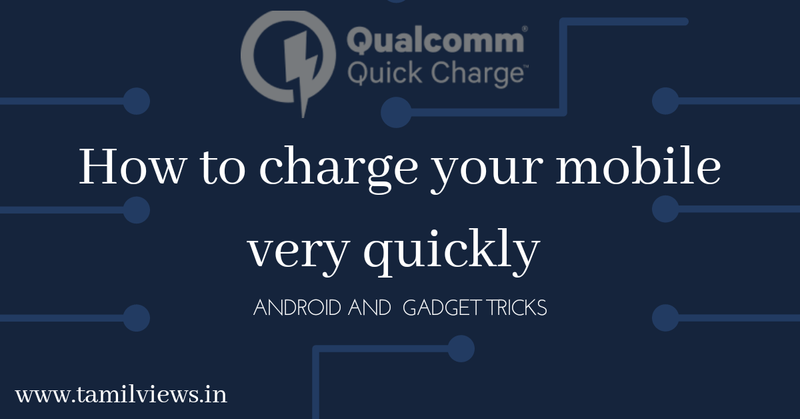 If you are using a smartphone you need to buy a fast charging adapter or charger. It is not like normal charger, it is lightning fast charging adapter. Handled by Appario Retail Private Ltd Best certificated seller in Amazon. 1: First, you need to buy a high-quality adapter on the shop or anywhere. 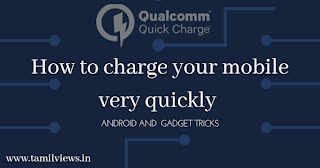 2: Then connect your mobile to charging adapter by USB cable. 3: Then switch on the adapter and see the magic. Basically, if you are using a normal charger for your mobile to charge your mobile, it would take up to 1 to 3 hours for charging. But using this MI fast charger adapter you can charge your mobile within 1hour to 1½ hours. Then it has overheating prevention and compact design and also has a Qualcomm 3.0 processor.